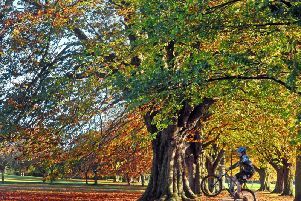 Harrogate is set to welcome 20,000 cycling enthusiasts as the county holds its first major cycle expo later this year. Cycle Expo Yorkshire is due to roll into Harrogate later this year, adding to the county’s impressive repertoire of international grade cycle events. It will take place at Harrogate’s Yorkshire Event Centre (YEC) from 12 to 14 October 2018. In a joint venture between Welcome to Yorkshire and Leeds-based international marketing and events specialists, XSEM, the event hopes to bring cycling enthusiasts globally to Yorkshire in a mass celebration of cycling. Sir Gary Verity, chief executive at Welcome to Yorkshire, said: “Cyclists travel from far and wide to cycle on our iconic roads and Cycle Expo Yorkshire will further cement the region’s position as a hub for international cycling.